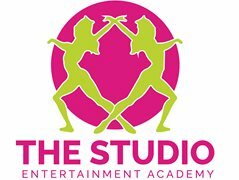 The Studio Entertainment Academy is looking for a Acrobatics Instructor to teach beginners, intermediate & advanced students. Our acrobatics classes focus on the combination of developing dance technique and the active elements of acrobatics. Students will develop their strength, flexibility, balance, limbering and tumbling. The classes still teach dancers the importance of performance quality and execution in a dance and acrobatic context. The skills learnt can then be transferred to other classes for further development in their training. Class times & studio location provided on application. Mid-Year & End of year concert rehearsals/performances are compulsory (dates provided on application). Paid : Determined by experience, training & age. - Knowledge of the bodies anatomy and how this relates to acrobatics/dancing. - Ability to correct dancers technique in a caring and knowledgeable way. - Ability to spot students. - Fun & bubbly personality. - Ability to work with kids & teens.